Ben Wheeler is a doubtful starter for Stags. Both Maara Ave and Lauchie Johns are good choices. Fantasy pick for batsmen- Andrew Fletcher, M Nofal and Devon Conway are the top contributors with the bat for Wellington. Greg Hay and D Foxcroft have played big innings for Stags. A Fletcher has scored 500+ runs so far while D Foxcroft has 250+ runs in 5 innings. 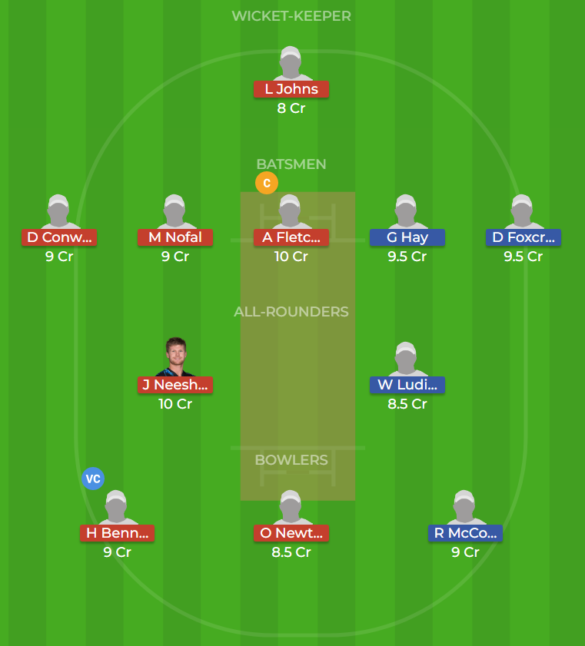 Fantasy pick for bowlers- Skipper Hamish Bennet and Olie Newton will be perfect from Wellington while Felix Murray and R McCone will be right choices from Stags. Jimmy Neesham has contributed well with both bat and ball. He is a must-have option in all-rounder.